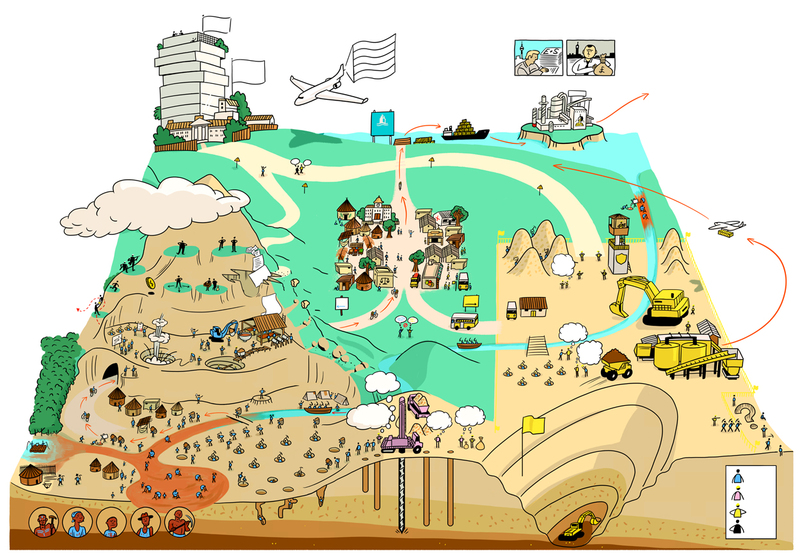 With support from the Ford Foundation, IIED is undertaking a robust research and engagement programme, including the convening of a 'visioning workshop' on artisanal and small-scale mining (ASM), to lay the foundations for a multi-stakeholder dialogue series on ASM. There is growing appetite for an inclusive dialogue in the mining sector. The private sector is under pressure to deliver development outcomes, and mining companies increasingly want to engage more effectively with ASM. Many governments are also keen to get a better handle on their ASM communities, with some already viewing ASM as a positive livelihood activity to reduce poverty. How can we capitalise on this growing momentum to make a difference on the ground? Experience shows that a dialogue process can create the neutral space necessary to amplify the voices of marginalised groups and enable the co-creation and co-implementation of workable solutions. 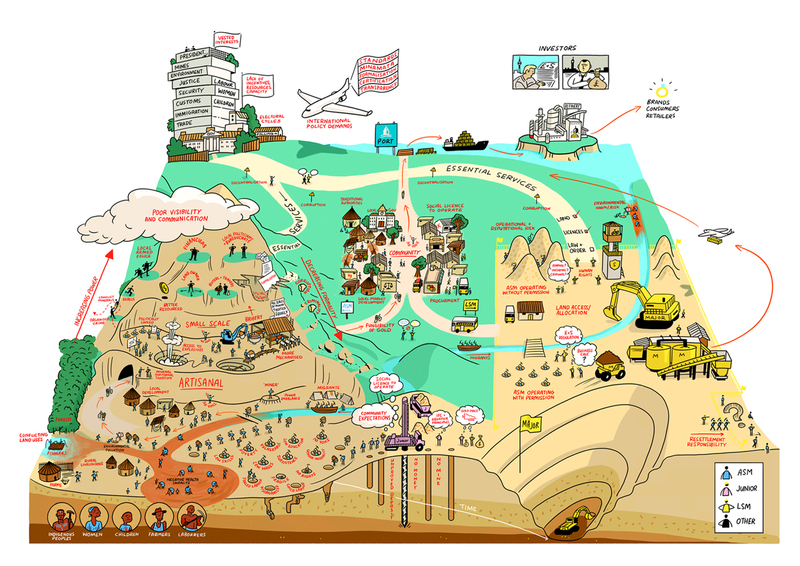 We want to build on this work and, within the gold sector, bring ASM, large-scale mining and governments together to co-design a series of in-country dialogues that can effect the change needed to improve the sustainability of mining practices. Over the last few months, including the hosting of a 'visioning workshop' in April 2015, we have engaged key stakeholders across the sector to identify the global priorities for the ASM sector. A backgrounder (English | Spanish) to the workshop was written based on 35 interviews with multiple stakeholders (including government, miners, and civil society) and identified four priority issues – vulnerability, minerals rights and governance, formalisation, and migration and security – and a number of key process points: to agree roles and responsibilities through dialogue, improve our knowledge of the sector and, most importantly, amplify the ASM voice. During the workshop, stakeholders (English (PDF) | Spanish (PDF) voted on the priority issues – formalisation, rights and government. We captured some of these thoughts on issues and dialogue in a series of interviews which can be viewed below and in a playlist on IIED's YouTube channel. We will shape the content gathered into a framework to be used by local organisations to guide their identification of local priorities addressing these issues. All of this work is grounded in local knowledge. In March 2015 we travelled to Geita District, northwest Tanzania, to better understand and talk to the wide range of people who depend on gold mining there, and their stories can be seen in our film: 'Gold mining: the search for common ground'. Before the end of 2015, IIED will return to the Geita community to share what was produced from our work with the community, and how they shaped the global programme. The ASM sector is diverse with complex links to government, communities, consumers and the larger mining sector. To further understand the 'big picture', and see how these stakeholders depend and link to one another, we reviewed literature and spoke to key stakeholders and created a picture of the ASM space. We are keen to hear further views, so take a look and share your ASM challenges in the comments beneath the article. Please also look at the blank version, which is also available above, to begin to map your work and the opportunities in the ASM space.